These new players achieve the very tenets of Esoteric’s design philosophy, conveying to the listener all the emotional expression of music without a hint of stress. VRDS-NEO [VMK-5] Transport Mechanism Improves Reading Accuracy The unique VRDS-NEO VMK-5 transport mechanism featured in this new player incorporates high-precision turntable that greatly improves reading accuracy by mechanically correcting for disc surface run-out. It’s hybrid construction integrates precision-machined aluminum with polycarbonate to help minimize rotational inertia. Mechanical operations such as opening and closing the tray and clamping the disc are performed by a unique differential gear system. This proprietary* Esoteric technology ensures exceptionally smooth disc loading operation. *Patent No.2861798 owned by TEAC Corporation. 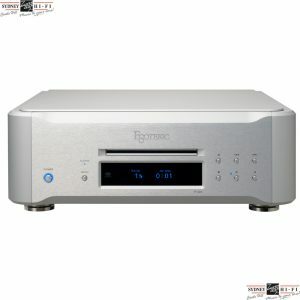 Refined Dual Mono D/A Converters Derived From Top-of-the-Line Components The D/A converters analog output circuitry features both excellent high-end resolution and natural musical texturing that only high-end components such as Esoterics K Series SACD players can offer. Centered around Asahi Kaseis high-end AK4490* 32-bit DAC, this circuitry accentuates the expressive power of these players with 4 parallel/differential circuits and 8 outputs driving each channel—twice that of conventional players in terms of circuit scale—to further enhance sound quality with excellent linearity and low distortion. Technology developed for the Grandioso C1 Linestage Preamplifier is also employed in the power supply, which features EDLC (Electronic Double-Layer Capacitors). This regulated power supply boasts an astounding total capacity of 500,000µF per channel for exceptional low-frequency sound reproduction. *AK4490 is a branded product of Audio4pro™ and of Asahi Kasei Microdevices Corporation, and designed for professional studio and digital audio applications. *EDLC = Electric Double-layer Capacitor *HCLD = High Current Line Driver 34-Bit D/A Processing Achieves Outstanding Powers of Musical Expression Employing a 34-bit D/A processing algorithm with an encoding resolution that is an astounding 1,024 times greater than that of 24-bit encoding, multiple 32-bit DAC devices were combined to convert the high-resolution 34-bit PCM signal to analog. In the digital range, full advantage is taken of high-bit data gradation to minimize calculation errors and provide faithful conversion to analog, thereby attaining outstanding powers of expression with even extremely small music signals. High-Speed, Large-Capacity Power Supply The K-05X is equipped with a large, high-efficiency, high-powered toroidal transformer, while the K-07X uses a full-sized EI-core transformer. Each is custom-designed to ensure excellent sound quality. High-output power supply circuitry further combines with an array of large capacitors to provide clean and steady power to all circuit blocks. 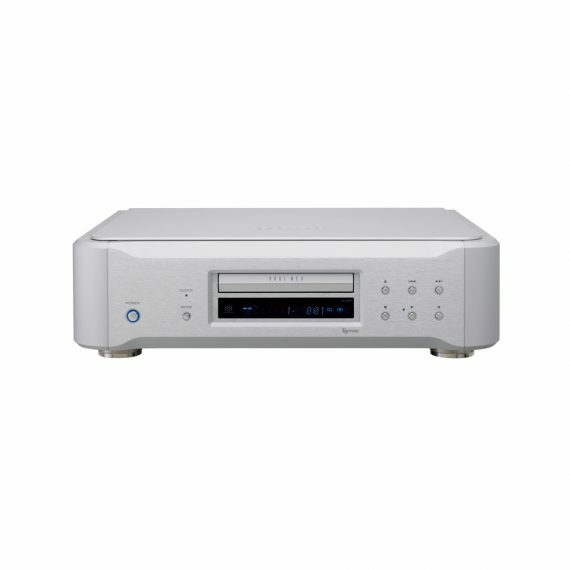 External Clock Sync Function Connecting the unit to a high-precision master clock generator (G-01, G-02) allows synchronization of the units operation with an external clock signal, thereby enabling an upgrade of system sound quality. 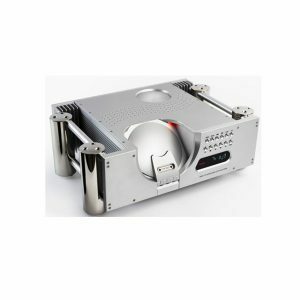 Compatible with 44.1/88.2/176.4kHz input frequencies, both 10MHz and 22MHz direct master clock linkage* and external clock synchronization are also supported for both digital optical and digital coaxial inputs, as well as when the USB input is used. *When an external clock generator is connected, its signal is also used to clock the D/A converter, bypassing the internal PLL circuit and providing straight, higher accuracy D/A conversion. Comprehensive D/D Conversion Compatible With Wide Range of Sources In addition to playback at the original sampling frequency, 2X, 4X and 8X up-conversion of the PCM digital signal is also provided. A range of D/D conversion modes are also available for the PCM format, such as PCM-to-DSD conversion. Four Digital Filters Plus Filter OFF Mode Four types of digital filter are available for PCM signal processing. Besides two FIR (Finite Impulse Response) digital filters, which have an established reputation for outstanding sound quality, two types of short delay digital filters are also included for a more precise and natural sound. A Digital Filter OFF mode permits both PCM and DSD digital filters to be bypassed if desired. 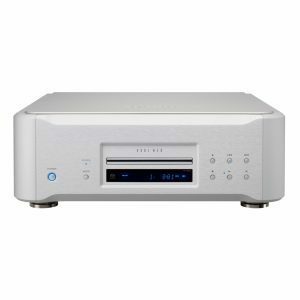 Digital Inputs Support DSD and High-Res PCM Three digital inputs (USB, coaxial, and optical) enable connection to a wide range of systems. These inputs support 2.8MHz DSD and up to 192kHz/24-bit high-resolution PCM. USB Support for 2.8/5.6/11.2MHz DSD, 384kHz/32-bit PCM and Asynchronous Transmission In addition to playback at the original sampling frequency, 2X, 4X and 8X up-conversion of the PCM digital signal is also provided. A range of D/D conversion modes are also available for the PCM format, such as PCM-to-DSD conversion.